The customer journey is the path your customer(s) take when engaging with your company from initial awareness to purchase and beyond. The journey you lead them on defines their experience. However, not every customer takes the same path, which is why you must use both data and behavior to guide each lead/customer down one path or another. 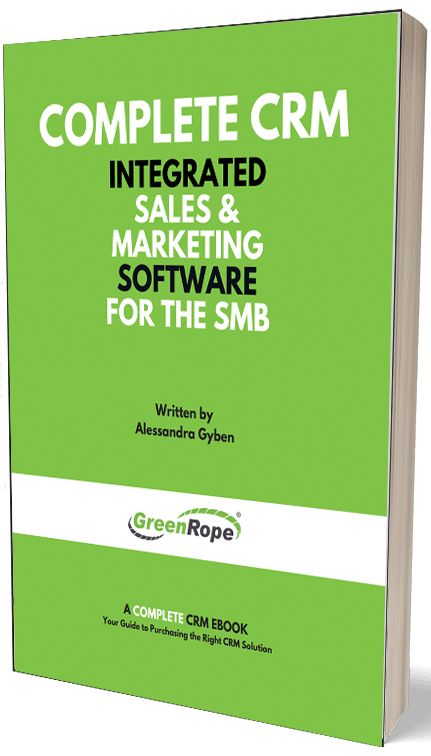 GreenRope’s Journeys is an easy tool to help marketers and sales teams create and implement effective customer journeys. Click here to learn more about Journeys or watch our latest campaign management webinar. To help you get setup, here are a few descriptions, best practices, and simple customer journeys to reference. 1. Use the Delay object to wait for time to pass before doing something. This is useful for giving someone time to do something like read an email, click a link, or visit a webpage. 2. Use the Decision object to create logic that customizes the contact's experience in your campaign. Decisions are helpful if you want to send someone a different message depending on whether or not they took an action, or whether or not they have something defined in a CRM data field. 3. Use the Action object to send an email or activate a Workflow (which can then take another action). You can also add and remove a contact to/from a Group. If you use a Journey to send an email, you can use the Decision object to see if that email was read or clicked and take different actions accordingly. 4. Use the Stop object to identify when someone has completed a Journey. If you end a Journey without a Stop, we will automatically put the contact into the End Journey object. This is not ideal, and will make for better tracking if you have all of your Journey paths end with a Stop. Click on any journey step (any box in the builder) to edit that Journey and see who has reached that step in the Journey. Start any customer or customers on a journey in the following ways. 1. Manually start a contact on a journey. This is the most basic way of initiating a contact on one of your journeys. Simply go to the Journeys feature under the Automation tab and hit the “Start Contact on Journey” button in the Action Bar. The contact will then start at the beginning of the journey. Click on each stage to view whether that contact has hit that stage. 2. Trigger a journey with Workflows. If you want to automatically trigger journeys, simply attach them to a workflow. This means that once a specific workflow is triggered, the action that triggered the workflow will send that contact on their way through your journey. To set this up, simply go into your Workflow Manager, hit the Trigger Actions tab and use the drop down at the bottom to specify the journey. 3. Use Drip Campaigns to trigger a journey. If you have a drip campaign setup as part of your lead nurturing strategy, you can easily add these contacts to a journey as well. First, you will need to customize the workflow to trigger a journey, next add a workflow to the specific email in your drip campaign. As soon as that drip is sent out, the contacts receiving that drip will embark on their journey. 4. Start an entire group on a journey. If you want to start an entire contact list on a journey, you can do that from the Journey dashboard. Simple journeys you can set up today! You send an email to your prospects. Some open up the email, others do not; therefore they experience a different journey. See below. As you can see, the path each lead takes depends on their actions. If they read the email, a follow up workflow triggers and that is where this journey ends. For those that didn’t read the email, they get a follow up reminder email. A simple journey like this is great for garnering initial interest in your company and weeding out the hot from the cold contacts. The campaign journey is a great one for marketers. They can specify the journey a lead takes depending on the campaign from which they came. This means that you can send contacts down very targeted journeys based on what initially drew them to your business. Take a look at the journey below. This might look complex, but really it simply takes the contact down a path that is relevant to their specific needs. For this journey, if a lead starts the journey a specific CampaignID, they are directed down one path with follow up emails and workflows that are relevant to that campaign. If they do not, then they receive emails and workflows that will lead them down the funnel with more general information, not specific to a campaign. Remember, always have a beginning, middle and end. Think about where your contacts are coming from when embarking on this journey and where you want them to end up. Always end your journey for full access to the most accurate analytics. Don’t forget to connect all of your stages together! Journeys are not group specific. For more information about Journeys, watch the webinar and review this presentation.